Hope: 1 Peter 1:3. 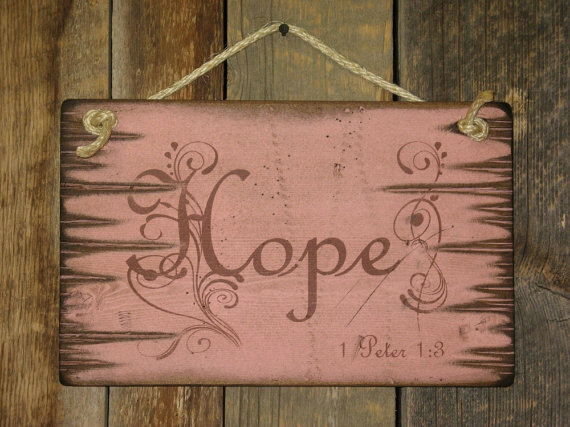 This pink antiqued sign reminds you that there is HOPE! It measures 9x14 and comes with the grass rope hanger for easy hanging. Handcrafted with pride!